Epping Forest District Museum (EFDM) is launching an appeal to save a medieval gold ring found in the parish of Willingale before the item goes on sale on the open market. 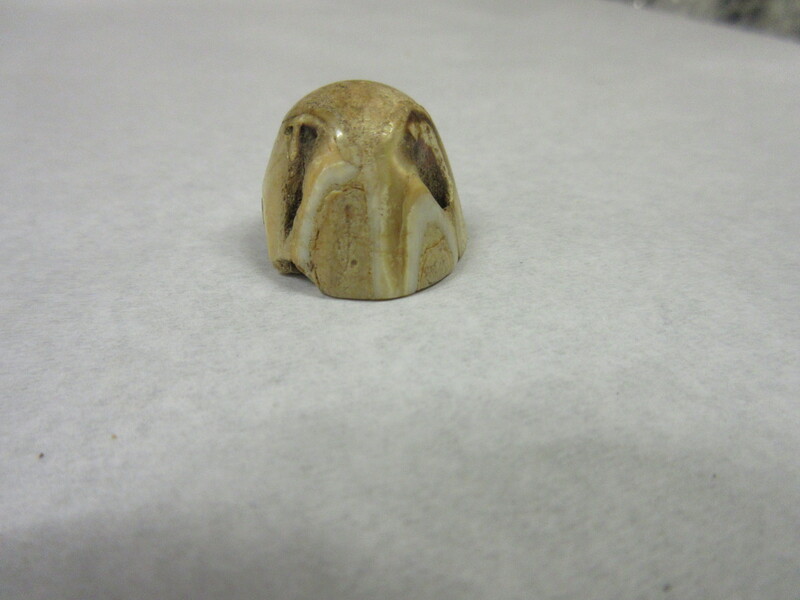 It is the first medieval gem set ring to be found in the district, and the first known finger-ring to be discovered in the parish of Willingale. The decoration is of an extremely high standard and, to the best of our knowledge, unique. In total £11,500 is needed to save the ring and buy a display case for the community ensuring it is on free public display for generations to come. The campaign has already received support from the ACE/V&A Purchase Grant Fund and SHARE Museums East and EFDM has committed funding from its reserves leaving £3000 to be raised. If the target’s reached the ring will go on public display in the museum’s newly renovated core gallery saving it for current and future residents to enjoy. If the funding is not raised, the ring may be sold on the open market and possibly leave the UK permanently. Recently unearthed by a metal detectorist the ring is thought to date from c.1200-1399 and would have been worn by a wealthy medieval nobleman. It is a fine and very well preserved example of a medieval sapphire set finger ring; the maker is unknown however the craftsmanship demonstrates great skill and technical ability. It is the first ring of its type to be found within the district, the decoration is of extremely high standard and, to the best of our knowledge, unique. We are the only museum in the district that covers archaeology and social history and we also act as the archaeological depository for the area. Our remit is to tell the human history of the Epping Forest District. If successful in securing the ring we would not only ensure its long term preservation but also make it widely available to the public through free exhibitions, inclusion in our school education programme, public talks as well as the ring being made available for loan and research. If you would like to know more about our campaign please get in touch with the team at the museum on museum@eppingforestdc.gov.uk or 01992 716882. Join Epping Forest District Council Museums, Heritage and Culture team for a series of 4 photography walks. Explore the local landscape with specialist guides and capture the moment, in photos, on video, and/or sound. With support from the Life Walks Team. We welcome Blind/partially sighted, Deaf and disabled people people to join us. time, the length of the walk will be determined by walkers needs as a group on the day. Specialist guides will share their knowledge of each local area and give tips on using your camera or smart phone to take pics or record sound. Smart phones or tablets (eg iPad) are ideal for this. For disabled people walkers who require support, your Personal Assistant/Support Worker is also invited to take part. Not all routes are accessible for wheelchairs though most are flat paths. Guided historical walk around the Abbey Gardens in the grounds of Waltham Abbey. Your expert guide leading this walk will be the Museum manager from Epping Forest District Museum + a landscape photography expert. you on this walk + a landscape photography expert. Paths — tarmac, gravel and earth, all hard and on the flat, but slightly uneven in parts. Guided nature walk around Bowyers Water lake, Lee Valley Park. Expert guide to be confirmed + a landscape photography expert. Guided nature walk in the forest taking in Connaught Waters lake. Your guide on this walk will be an expert on the history of the local landscape + a landscape photography expert. Paths — two gentle inclines, mainly earth paths — 50% good smooth paths, 50% hard but rough paths through the forest. Car park is accessed by passing the bikers tea hut parking area, and along a rather bumpy potholed road in the forest. Here is a gallery of some of the images in the Museum’s collection of Church Street in Waltham Abbey. 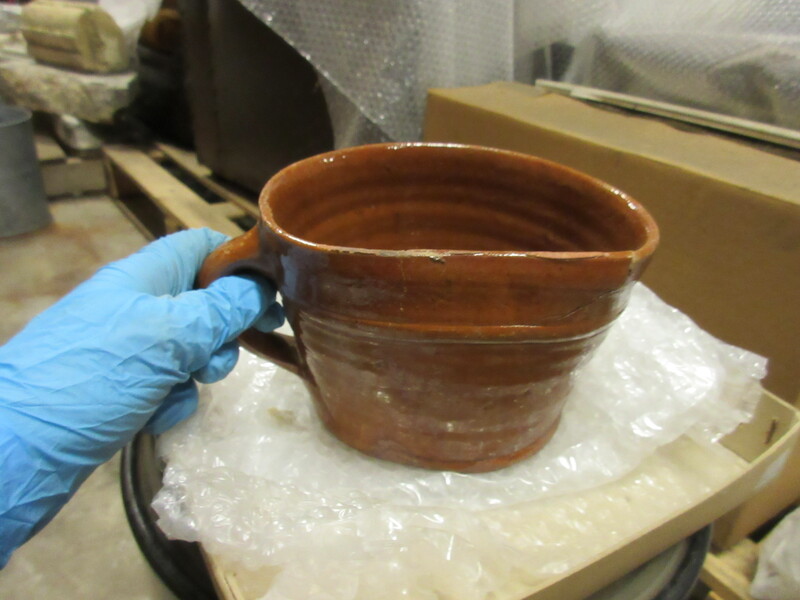 Catherine Hammond, the museum’s Education and Outreach Officer, has been busy at the stores selecting objects for the Archaeology display in the new museum which is due to reopen early 2016. ‘I’ve been trying to find objects from all different periods of history and from different locations around the District. My aim is to show how long people have lived and worked all over this area. As you go through box after box, taking photos, checking lists and making sure everything is recorded properly, it can be easy to forget what an incredible amount of history has passed through your hands. Its only now looking back through all my photos of potential objects I realise I took a journey through 5000 years worth of history in about 7 hours! 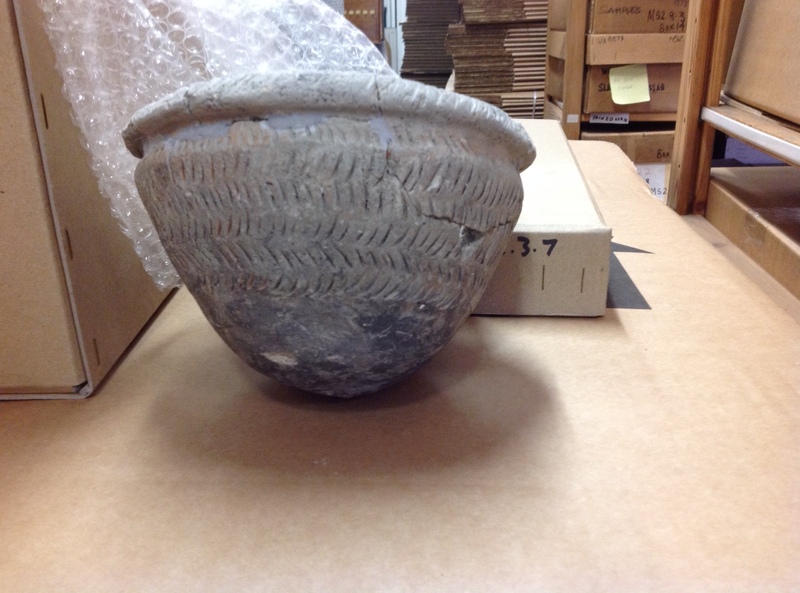 One of the most exciting objects I found was this Neolithic bowl from Waltham Abbey. It is around 5000 years old and hasn’t been on display since it was sent away for conservation work. Sometimes an object gives a direct link with the past when it shows what we have in common with people who lived here over 1500 years ago. 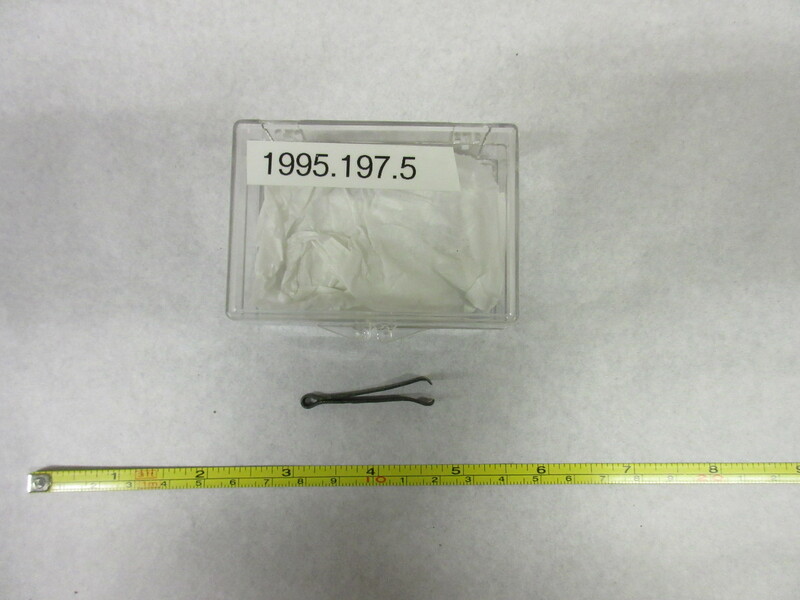 These Roman tweezers used by a Roman lady to tidy her brows have hardly changed from ones we might use today. As a horse lover, I can’t resist including something horse related, but I didn’t expect to find this ornament, made from a horse’s tooth! It dates from Saxon times and was found near Nazeingbury. Sadly, some objects have no information with them so we have no way of knowing how old they might be or where they were found. 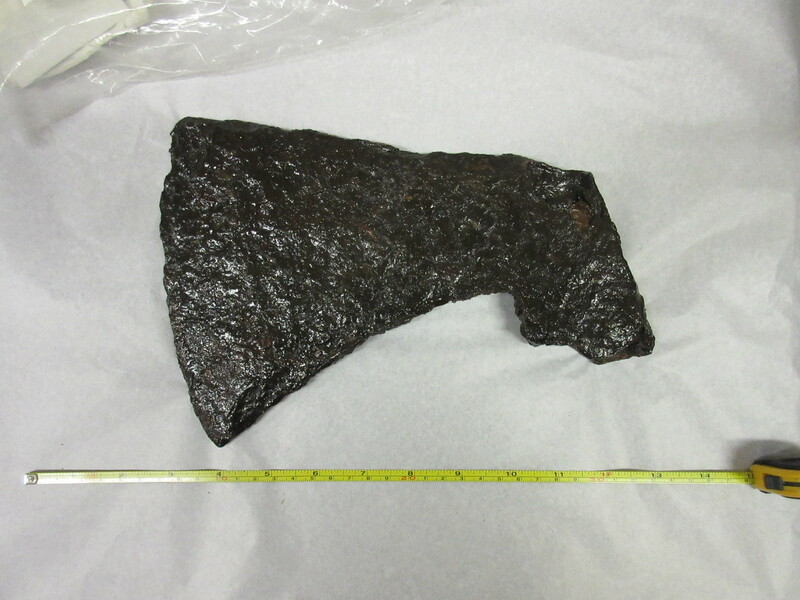 This Axe Head is one such mystery object, but such a good one I’m tempted to include it. John Varley was a British artist born in London in 1778. He was an English landscape painter mainly working in watercolour. Varley was working at a time of transition and his work shows the transition from tinted drawing to the more fluid and bolder watercolour painting that took hold in the 19th century. In 1798 he exhibited a highly regarded sketch of Peterborough Cathedral at the Royal Academy and became a regular exhibitor at the RA. In 1805 the Old Watercolour Society (OWS) was founded and as a founding member of the OWS Varley exhibited over 700 drawings there. As well as being an artist, Valey was a teacher with pupils including Copley Fielding, David Cox, John Linnell and William Turner (artist) of Oxford. He died in London in 1842. Varley’s work is represented in many major museum collections including the Victoria and Albert Museum. This image, part of Epping Forest District Museum’s collection, is one of a number of studies of the church made by the artist, showing the path along the south side of the church. Below is a gallery of images of Waltham Abbey Town Hall. During the First World War it became a make shift hospital which you can also see in the images below.